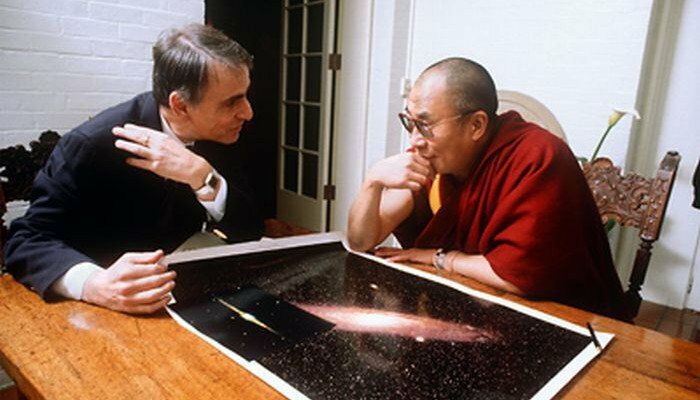 Carl Sagan, the well-known American astronomer, astrobiologist, cosmologist, astrophysicist, and author passed away in 1996. He was very skeptical of non-mainstream work, and was the same when it came to many topics within the realm of parapsychology. Almost 20 years later, we now have substantial evidence to confirm that various phenomena within the realm of parapsychology are indeed real. Some of these include telepathy, psychokinesis, distant healing, ESP, and many others, including reincarnation. He also mentions two others. One is that, by thought alone, humans can affect random number generators in computers (you can read more about that here), and the other is that people under mild sensory deprivation can receive thoughts or images “projected” towards them (you can read more about that here). If Sagan were alive today, he would see that the serious scientific study of reincarnation has indeed been undertaken, despite the fact that it is a touchy subject, and the results challenge the belief systems of many. When looking at these topics from a scientific standpoint, it’s a good idea to suspend all belief systems and simply examine the information that’s been gathered from a neutral standpoint (which is, of course, easier said than done). This topic has been studied by numerous scientists who belong to various academic institutions from all over the world, so in the interest of a short on-line read, choosing which studies/examples to share can be a difficult process, given how many of them exist. Worldwide, more than twenty-five hundred specific cases have been examined in great detail, more so where these notions are more culturally accepted (in the East), although cases have been documented on every single continent. For this reason, if you are interested in this topic from a scientific standpoint, we suggest you further your own research beyond what you read here. In the article, he describes a typical reincarnation case, where subjects start reporting a past life experience. One common denominator of these cases is that they all involve children, with the average age being 35 months when subjects begin to report their experiences. The experiences reported are often detailed and extensive, and Tucker points out that many of these children show strong emotional involvement when speaking about their claims, some cry and beg to be taken to what they say is their previous family. Others show intense anger. Again, this is one of hundreds of cases. Children have also been taken to their previous families, and described qualities and characteristics of them and their past life about which there is no possible way the child could know. Here is another specific case that was examined by Dr. Tucker that we wrote about a couple of months ago. And there are plenty more to choose from. Who knows what this means? Something is definitely going on here, nobody can really deny that. Does it mean that when we die, we reincarnate into another human body? Does it mean that only some people get reincarnated? Or that not everyone is reincarnated here, perhaps instead reincarnated somewhere else on some other planet? Does it mean that that we go through reincarnation cycles here until the soul learns its lessons, then it is free to move on? Does the soul have a choice after it leaves the body, to reincarnate into another one or proceed somewhere else? Does it have the option to change dimensions? Do all souls come from one source? Is that source that we are all a part of, just a part of something greater? You could literally ask thousands of questions which branch off into an endless number of topics. It’s not possible to say what this all means, but if you take the evidence we have for reincarnation and combine it with the tremendous amount of scientific literature already available for other para psychological phenomena, all postulating that consciousness exists outside of the body, one can definitely say that there is more to life than we can physically see or scientifically explain. What are your thoughts on these cases? What are your thoughts on reincarnation in general? Feel free to share your thoughts in the comment section below.